Enhance the value and appeal of your home when you decorate your favorite rooms with hardwood flooring in Wooster, OH. 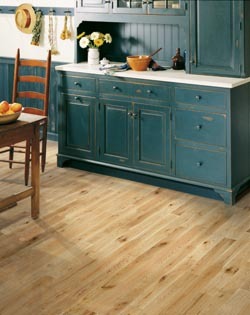 Martin Interiors Flooring America is your source for just about every type of hardwood on the market today. Stop in and start a discussion about your design plan with a representative today and learn about what kind of flooring you need in every room. At every step of your remodeling journey, the design team at our showroom is here to support you. From the moment you walk through our doors, you will get the answers you need. Each variety of wood flooring provides you with different advantages. When you sit down with a flooring design representative, they will ask you the critical questions about your home and your lifestyle, and make recommendations with what would work best. We want you to be happy with the flooring choice you have made, so we back our installation with a reliable warranty. Find the floors you want and the protection you need through our 5-Star Selection system. Selected 4- and 5-Star rated floors are protected with the Ultimate Confidence Guarantee. If you are unsatisfied with your purchase of these rated products after living with them for 30 days, we will replace them at no additional cost to you. Our design assistance is a critical part of the remodeling process. As desirable as wood flooring is to the homeowner, it is vital that you choose the right type of wood for every room. Engineered hardwood is a great choice for upper floors and areas that may be in direct sunlight, as engineered products won’t expand and contract to the degree that other types of flooring may in similar circumstances. Lay the groundwork for decades of design versatility when you invest in a solid wood product. Match your décor with a stain and grain that is capable of bringing your room to life. When you decide to redecorate in the coming years, your floors can be resurfaced and stained to match the new look. We carry a broad selection of the hardwood brands you know and love, like Glendale, Benchmark, and Halifax Collection. Each species of hardwood will expand and contract at different rates, so professional hardwood flooring installation is critical. Our team will arrive with the right tools for the job, and your floors will look great for years to come. Contact us today for a broad selection of hardwood flooring capable of giving you the warmth and character you need. We proudly serve customers in Wooster, Orrville, Doylestown, Rittman, and Smithville, Ohio, and surrounding communities.